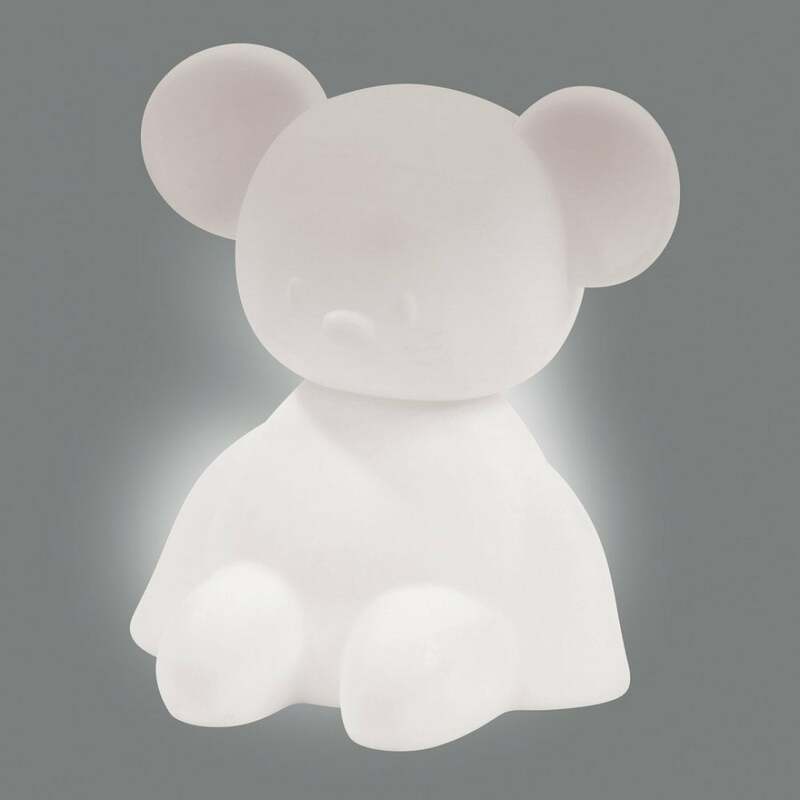 Nattou Mouse USB Colour Changing Nightlight lets you comfort your child when they wake in the night. This cute nursery companion has seven different colour combinations. It therefore gives your baby a soothing and relaxing backdrop to story time or sleeping. Should your little nipper wake in the night, this nightlight switches on automatically. It is designed to reassure your child and encourage them to fall back to sleep. The USB port makes this nightlight easy to transport and charge. As a result, it's the perfect travel item for taking on sleepovers and holidays. Why Should I Buy Nattou Mouse USB Colour Changing Nightlight? Nattou Mouse USB Colour Changing Nightlight is sound activated. It switches on as soon as your baby cries in the nursery or bedroom. The sweet character is very appealing to children. It soon becomes a much-loved and constant companion as they learn to self-settle. Nattou Mouse USB Colour Changing Nightlight has seven relaxing colours. You choose the colour by tipping the light. You also have four levels of intensity to choose from. Therefore you adjust the brightness to suit your baby's needs. You will find this is perfect for story time or for sleeping. Also a perfect gift idea. What Are The Specifications Of The Nattou Mouse USB Colour Changing Nightlight?